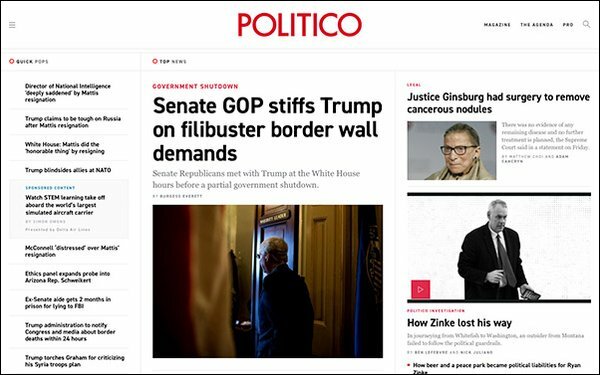 After revealing it has more than doubled in size over the last five years, growing revenue from $52 million to $113 million in 2018, Politico announced it would make a robust and strategic investment in its revenue team and client services. Politico anticipates its sales team to expand by 35% and its revenue to increase by almost 40% by the end of 2019. The $3 million investment comes as the outlet is striving to meet rising market demands. The money will fund the creation of specialized teams that will cultivate C-Suite and VIP engagement, provide clients with upgraded service and help Politico expand into new business opportunities. Bobby Moran, Chief Revenue Officer, Politico, stated: "As the world becomes increasingly politicized, companies no longer have the luxury of sitting on the sidelines. Executives are expected to know what is happening in Washington and power centers across the globe, and need to more effectively tell their story to decision makers in those places." In addition to deepening its revenue opportunities, the fund will also support the Politico Pro subscription team to enhance work in California, healthcare and higher education. Important areas will be targeted through the creation of four specialized teams that will cultivate new business in the advertising market. The areas are: long-term clients, execute large-scale partnerships for the outlet. and a focus on supporting all revenue functions of Politico, including sales, sales enablement and territory.